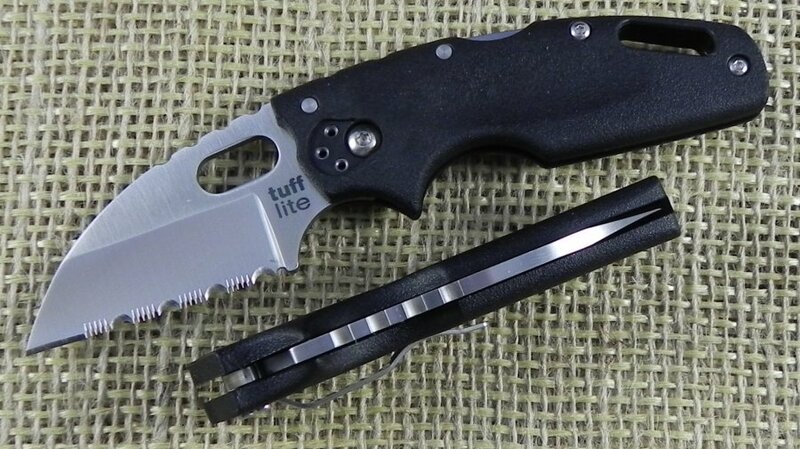 Tuff Lite - 3 3/4" closed lockback. 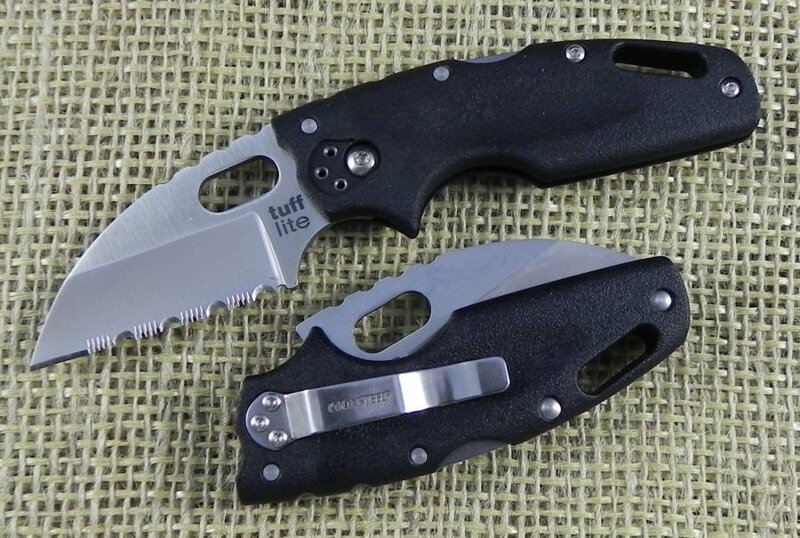 2 1/2" AUS-8A serrated stainless blade with thumb slot. Tri-Ad Lock. 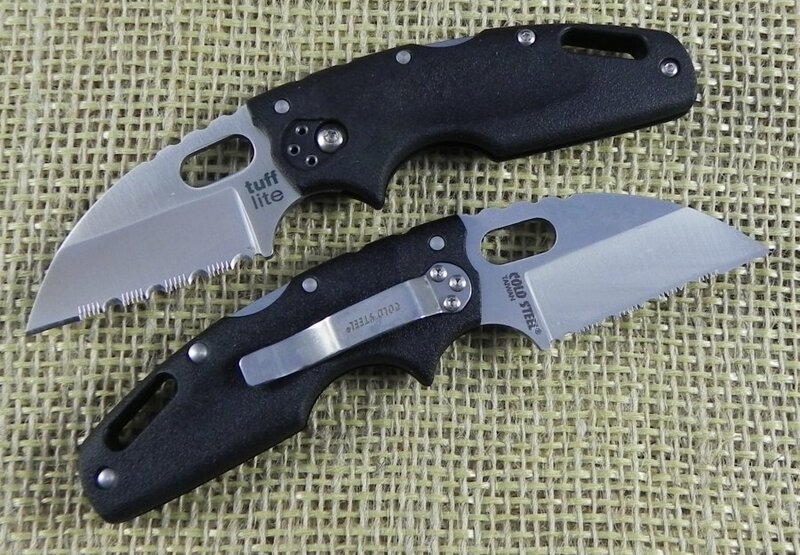 Black Griv-Ex handles with lanyard slot. Stainless pocket clip.